The Geological Society of America has chosen a team led by Drs. Jinny Sisson and Alex Robinson for the 2018 GSA/ExxonMobil Field Camp Excellence Award. The $10,000 award will be used to improve the field education experience. UH 2017 Field Camp participants at an overlook to the Beartooth Plateau. This award recognizes UH’s effort in teaching the fundamentals of geologic field work combined with diversity, safety awareness, and technical excellence, as well as the team’s aspirations for improvement. Field camp has long been a tradition as a capstone course for geology undergraduates at UH since the mid 1950s. The first field camp group, led by Dr. Robert Greenwood, traveled to Silver City, New Mexico, in well-used International Harvester “Carry All” vans only to find that they had no place to stay. 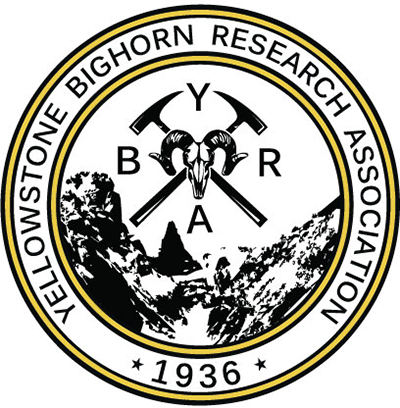 Silver City became a semi-permanent home for the UH field camp until 2007, when faculty from UH took over a program that had been running at the Yellowstone-Bighorn Research Association (YBRA) facility in Red Lodge, Montana. This program was initially started in 1936 by Princeton University and then run by University of Pennsylvania. UH faculty felt that moving the field camp to YBRA would benefit the undergraduates, as well as serve the geologic community by offering a course open to all interested students. Over the last 10 years, approximately 450 UH students and 200 non-UH students have gone to Montana to map the geology of the Rocky Mountains. In addition to field work around the small town of Red Lodge, students visit Yellowstone and/or Grand Teton National Park and the area around Dillon, Montana. Dr. Jinny Sisson, visiting associate professor, spearheaded the UH/YBRA program in 2008 and continues as co-director with Dr. Alexander Robinson, associate professor. This summer, eight faculty members, including Drs. Mike Murphy, Matt Cannon, and Joel Saylor, and four teaching assistants will make the journey to Red Lodge and Dillon to continue the field camp experience for geoscience students.